Highly anticipated PC and PS4 adventure survival game No Man’s Sky finally has a release date. Sony has also confirmed that the physical and digital editions of the game will be available for pre-order right away, incidentally the date coincides with a leak on the US PlayStation Blog a couple of days ago. The game will be available from June 21 in the US, June 22 in Europe and India, while UK gamers will have to wait till June 24 to play it. On the PS4, the game will set you back by Rs. 3,499 digitally and Rs. 3,999 if you’re buying a physical copy. The Limited Edition is for $80 (around Rs. 5,371) and considering that other Sony titles like Uncharted 4 aren’t seeing special variants hit India, it’s safe to say that the No Man’s Sky Limited Edition will skip the country as well. And if the PS4 isn’t your gaming machine of choice, there’s an elaborate PC version as well. Dubbed the No Man’s Sky Explorer’s Edition comes with a replica ship, decals, pins, and well, a code for redeeming the game instead of a disc. It’s being made and sold by UK boutique creative outfit iam8bitand costs $149.99 (roughly Rs. 10,000). 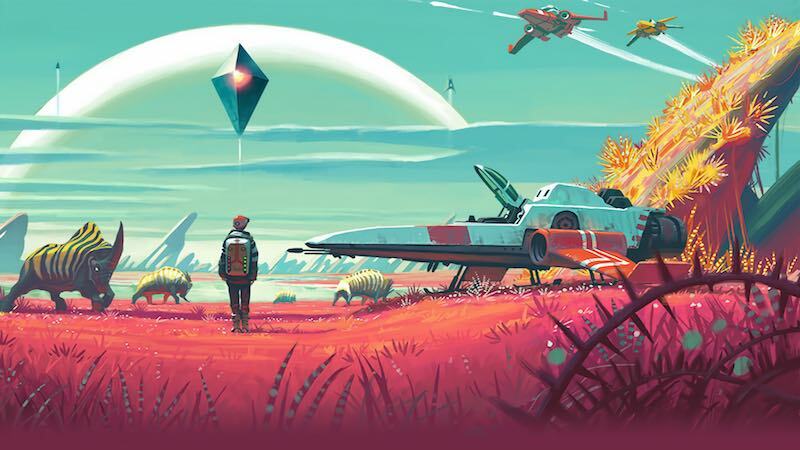 From what we’ve seen, No Man’s Sky has you going where every sci-fi loving fan has gone before – space. This time however you’re exploring its depths minus any heavy-handed direction, trying-too-hard-to-be witty sayings, or any of the other tropes we’re tired of from slew of sci-fi movies and games we’ve been treated to. In their place is a gorgeous galaxy that has you exploring planets galore, each of which has its own unique environment and creatures. It’s been often delayed but always present at each of Sony’s events. Looks like we won’t have to wait too long to give it a go. Unless of course it gets delayed like a certain other PS4-bound title.